'Chemical engineering is the field of applied science that employs physical, chemical, and biological rate processes for the betterment of humanity'. This opening sentence of Chapter 1 has been the underlying paradigm of chemical engineering. 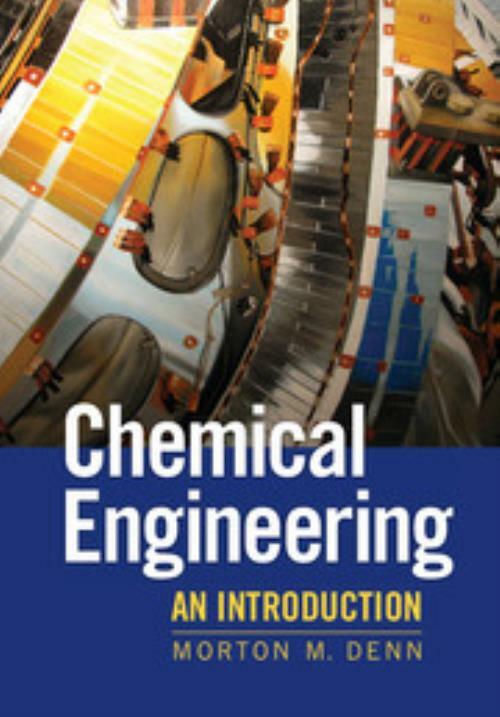 Chemical Engineering: An Introduction is designed to enable the student to explore the activities in which a modern chemical engineer is involved by focusing on mass and energy balances in liquid-phase processes. Problems explored include the design of a feedback level controller, membrane separation, hemodialysis, optimal design of a process with chemical reaction and separation, washout in a bioreactor, kinetic and mass transfer limits in a two-phase reactor, and the use of the membrane reactor to overcome equilibrium limits on conversion. Mathematics is employed as a language at the most elementary level. Professor Morton M. Denn incorporates design meaningfully; the design and analysis problems are realistic in format and scope. 15. Energy balances for reacting systems. Morton Denn City College, City University of New York. Morton M. Denn is the Albert Einstein Professor of Science and Engineering and Director of the Benjamin Levich Institute for Physico-Chemical Hydrodynamics at the City College of New York, CUNY. Prior to joining CCNY in 1999, he was Professor of Chemical Engineering at the University of California, Berkeley, where he served as Department Chair, as well as Program Leader for Polymers and Head of Materials Chemistry in the Materials Sciences Division of the Lawrence Berkeley National Laboratory. He previously taught chemical engineering at the University of Delaware, where he was the Allan P. Colburn Professor. Professor Denn was editor of the AIChE Journal from 1985 to 1991 and editor of the Journal of Rheology from 1995 to 2005. He is the recipient of a Guggenheim Fellowship; a Fulbright Lectureship; the Professional Progress, William H. Walker, Warren K. Lewis and Institute Lectureship Awards of the American Institute of Chemical Engineers; the Chemical Engineering Lectureship of the American Society for Engineering Education; and the Bingham Medal and Distinguished Service Awards of the Society of Rheology. He is a member of the National Academy of Engineering and the American Academy of Arts and Sciences, and he received an honorary D.Sc. from the University of Minnesota. His previous books are Optimization by Variational Methods (1969); Introduction to Chemical Engineering Analysis, co-authored with T. W. F. Russell (1972); Stability of Reaction and Transport Processes (1975); Process Fluid Mechanics (1979); Process Modeling (1986); and Polymer Melt Processing: Foundations in Fluid Mechanics and Heat Transfer (2008).